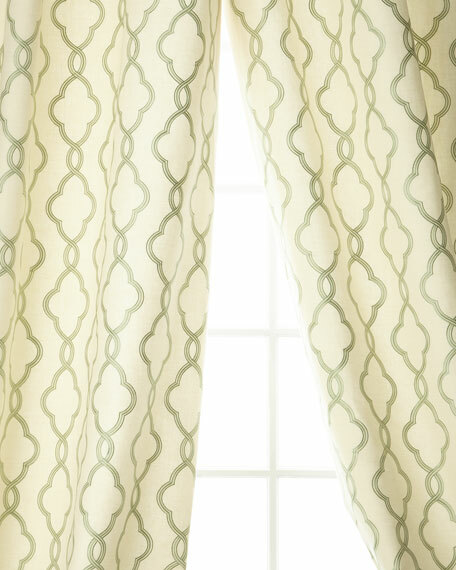 Tile-print linen/cotton drape, lined with cotton sateen. Ivory cotton organdy embellished with two-tone embroidery.Select embroidery color when ordering.Each sheer is approximately 54"W and has a 4" rod pocket, 2" header, and back tabs.Dry clean.Imported. Medium-weight cotton with Greek key detail.Lined.3.5" rod pocket fits poles up to 1.5" diameter.Made in the USA. 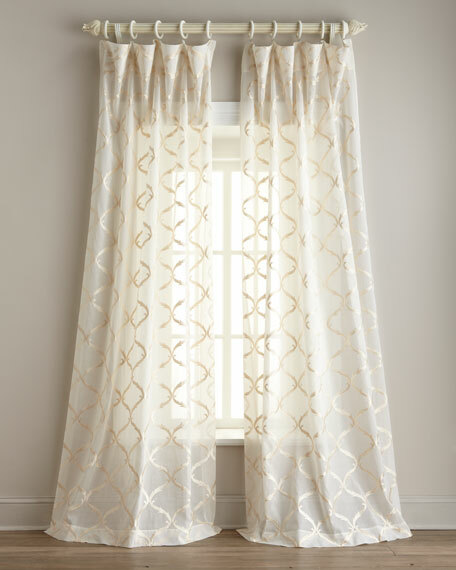 Linen curtains with metallic ribbon band trim at top.Styled with a rod pocket and back tabs.Lined and weighted.Each curtain is approximately 52"W.Dry clean.Imported.